Orlando, Florida – May 2, 2016 – (INTUITION by Perspective Group) – Resort Travel & Xchange, a premier vacation exchange company, announced that its Vice President of Operations Justin Hunter has been elected as a member of the Canadian Resort Development Association’s (CRDA) Board of Directors for the 2016 term. 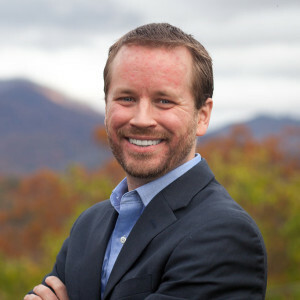 Justin Hunter, Vice President of Operations, Resort Travel & Xchange (RTX): Currently, his primary role consists of overseeing all operations for RTX at both their Asheville and Orlando locations. Hunter brings over nine years of timeshare industry expertise to CRDA. His well-rounded background includes experience working in the following departments: owner services, finance, and club management. He has served on ten different boards of directors for various timeshare properties holding many different positions as well as serving on the board of directors for multiple timeshare programs. Prior to entering the timeshare industry, Justin attended Marshall University where he earned bachelor’s degree in business administration. “It’s an honor to serve on the CRDA board. This organization has a positive impact on the entire timeshare and vacation ownership industry, and is beneficial for companies like RTX as well as our peers and timeshare owners. I look forward to making meaningful contributions to CRDA as a board member,” said Hunter. Hunter joins 12 other industry trailblazers on CRDA’s elite team of Board of Directors. CRDA is an industry-based business association to advancing vacation ownership all across the world. The CRC is an annual opportunity for association members and non-members to further their understanding of vacation ownership and the resort world. With three levels of membership to choose from, RTX members may exchange their timeshare ownership (fixed week, float week, or points), giving them access to a host of fresh and exciting new destinations. The company’s popular vacation exchange platform offers low exchange fees, up to a 4-year deposit window, and a world of perks that include hotel, air, car, getaways, restaurants, airport lounge membership, exclusive club publications, a VIP concierge line, and more. LaTour Hotels and Resorts provides superior management services to luxury fractional ownership properties throughout the United States, Mexico, and Venezuela, with upcoming expansion plans throughout South America, Europe and Asia. The company’s goal is to transform the ownership experience through superior service, distinctive amenities, imaginative activities, and an obsessive attention to detail. Exclusively targeting the most discerning buyers and staffed with highly-trained and highly-motivated personnel, LaTour properties will deliver ownership experiences that vastly exceed all expectations.